"The services you receive here are outstanding...very professional...very courteous..."
"I came here and besides everyone being really nice but fell in love with my dentist..."
"I would recommend this office to any and everyone!" "Needed emergency care. I was seen same day and relieved of pain immediately...Thank you!" "Love this place. I never have to wait when I make an appointment..."
Rated 4.9 out of 5 stars on google reviews! Glad Dental P.C. offers personalized care and high-quality dental services in the Bronx, New York. 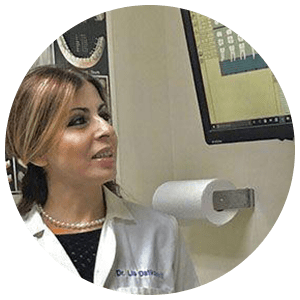 Under the direction of Dr. Guram Yakobashvili and Dr. Lia Datikashvili, the staff at Glad Dental P.C. provides comprehensive treatment in all areas of general dentistry from cleanings to crowns and all your dental needs. If there’s a dental emergency, Glad Dental P.C. makes every effort to see patients as soon as possible for the best treatment, comfort, and care. 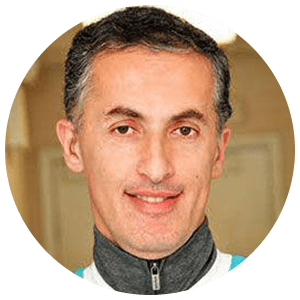 Both Dr. Yakobashvili and Dr. Datikashvili are experienced professionals that are passionate about bringing dental wellness to their community. Founded by Dr. Guram Yakobashvili and Lia Datikashvili, Glad Dental P.C. promotes preventive care and education for its patients to maintain their optimal dental health. Dental consultations and exams are thorough, providing an in-depth look at teeth and gums, performing oral cancer exams, and taking X-rays when necessary. Your dental health professionals at Glad Dental P.C. pride themselves on providing patients a relaxing and positive experience from its skilled technicians and friendly staff. Glad Dental P.C. meets all standards recommended by the American Dental Association (ADA), the Occupational Safety and Health Administration (OSHA), and the Center for Disease Control (CDC). New patients are welcome and most forms of insurance are accepted. Call or go online today for more information or to schedule an appointment at Glad Dental P.C. We offer emergency appointments and treat patients in the Bronx, Upper Manhattan and surrounding areas! 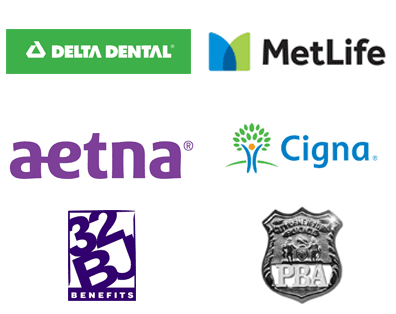 For full list of insurances, check our "All Accepted Insurances" page. "...Office was great. Not a long wait. As soon as I came in I was greeted by the girls in the front desk which were amazing and friendly." "Great experience at Glad Dental! Very professional, personable, staff. They have made me feel good about smiling again. I would HIGHLY recommend." "I live over an hour commute from Glad Dental but I can assure you that it is well worth the drive. Thank you, Glad Dental!!!" "They did very good work, and they made me feel comfortable even though I am deathly afraid of dentists..."
"... I know that walk-ins are welcomed, the ladies at the front desk are very friendly and helpful, and the dentists are extraordinary." "I recommend this dental clinic to anyone. The women that work there are so kind and understanding."